The three designations for this grenade all have the same body, difference was in the fuze. 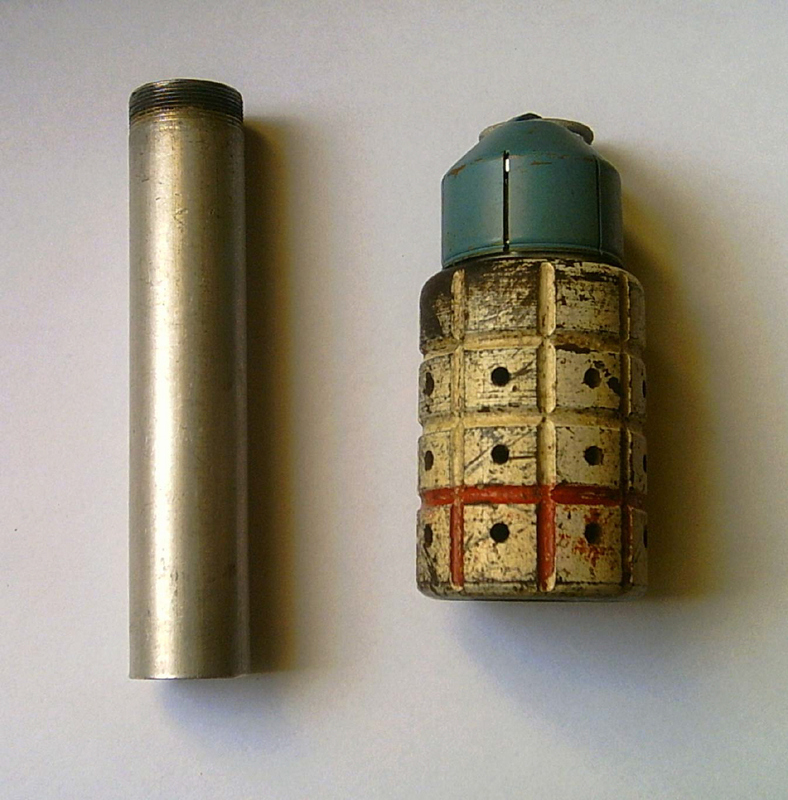 Grenades are easily transformed into rifle grenades by an adapter that fits in the threaded base. 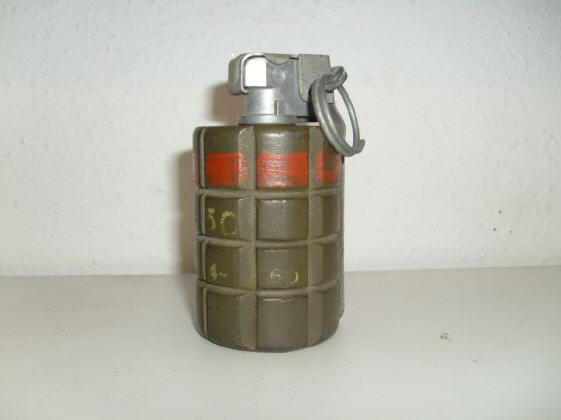 HE grenades are painted green and have yellow markings. Practice grenades are white and have holes drilled in the body. 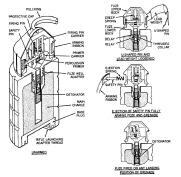 *Striker-Release fuzes: M48BG , M50BG and M60BG. Length: 95-71mm , diameter: 51mm. 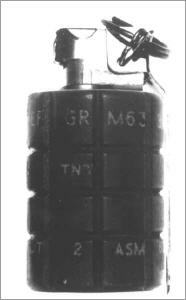 Weight: 621gram including 50gram TNT/Potassium Nitrate. 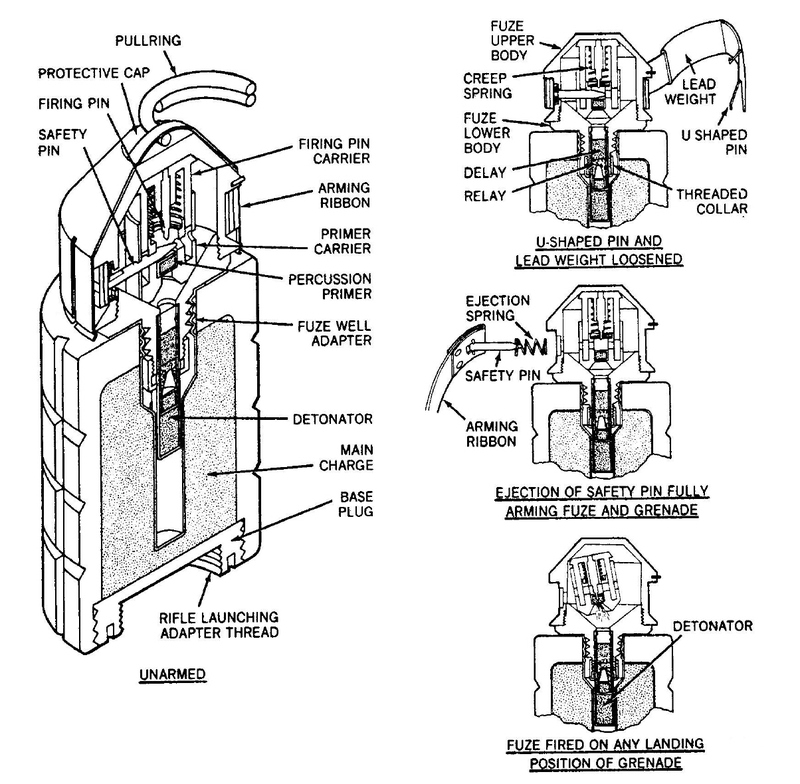 Click on the PDF-icon on the right to see the specific page from the manual. Below: the M50BG with the "allways" fuze. 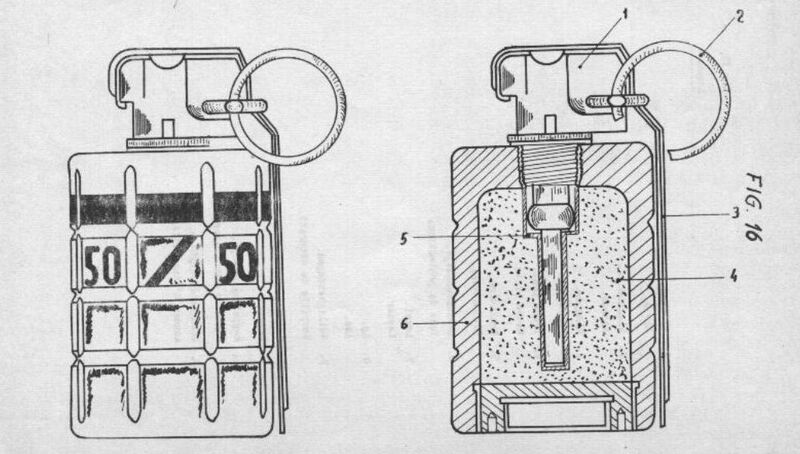 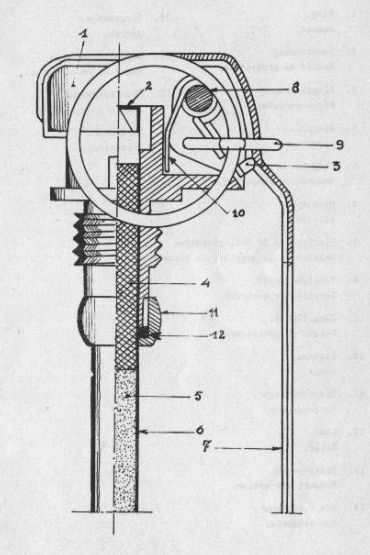 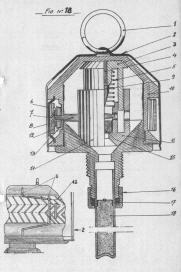 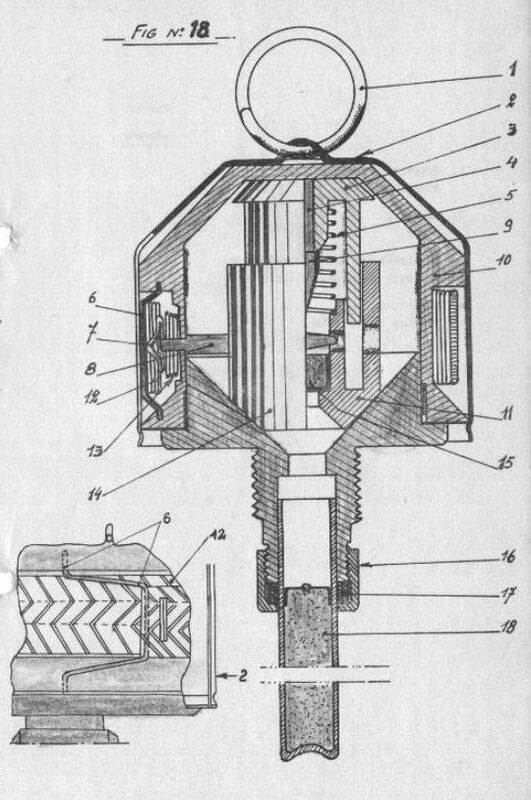 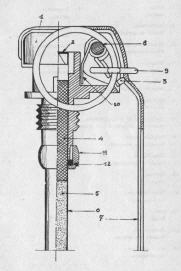 With the use of a firing- and stabilizer tube, the grenade could be lauched from the Belgian service rifle, with the use of an launcher attachment. 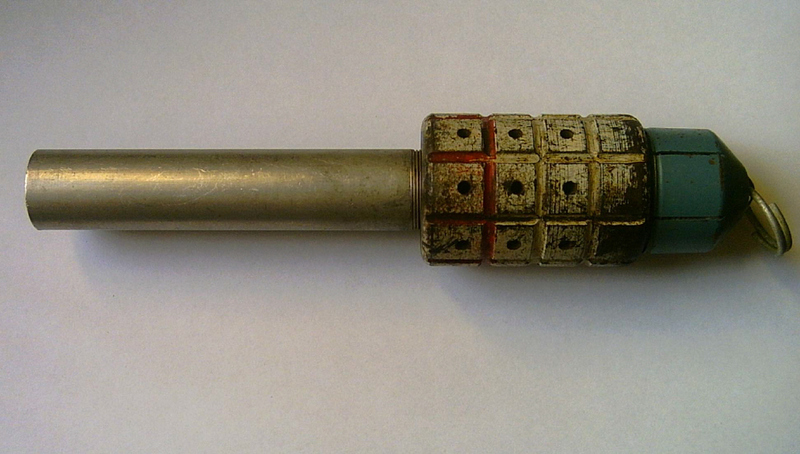 The photos of the practice grenade below show this stabilizer tube.